Are you looking to discover the hidden beauty of India? 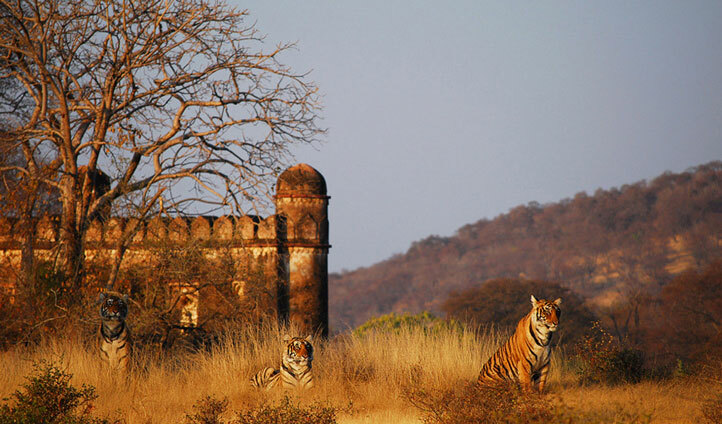 Sher Bagh, a luxury tented camp in Ranthambore National Park is where you’ll find it. Surrounded by stunning landscapes it’s the perfect place to just get away so leave your stress behind and prepare for an eye-opening adventure. There’s something for everyone whether you’re a wildlife fanatic wanting to enjoy an Indian safari searching for tigers or if you want a honeymoon that’s a little bit different than the rest. Sher Bagh is an Indian hideaway you’re sure to fall in love with. Fly into Jaipur before a scenic four-hour drive to your tented camp or if you want a more exclusive experience then enjoy a helicopter ride to your retreat. Step into the peaceful Rajasthan wilderness as expert guides with a wealth of knowledge help you track tigers across all the corners of this breath-taking refuge for wildlife. In the middle of the park among the trees and grasslands, an ancient fortress rises like something out of an Indiana Jones film just begging to be explored. Sleeping under canvas gets a stylish update at Sher Bagh where each of the tented suites is decorated with teak and rosewood furnishings. 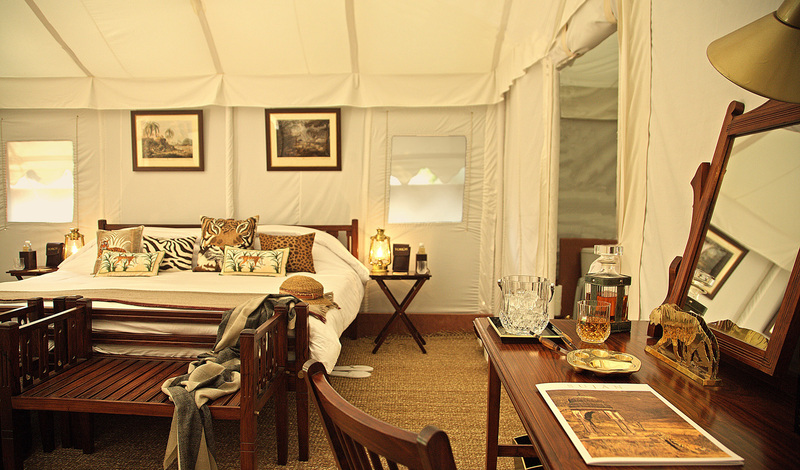 Photographs and paintings display the rich history of the camp and you can soak up the sun on your very own veranda after a thrilling safari. The Royal Tent has a glistening private swimming pool making it a great choice for honeymooners who want a little more privacy. Who wouldn’t love recharging their batteries whilst drinking in the spectacular natural surroundings, not to mention the tranquil atmosphere? Add to that the delicious locally sourced food and your stomach will be won over too. Our favorite part of staying at Sher Bagh is the chance to get off the beaten track to see a new side to this wonderfully diverse country and an opportunity to spot the elusive Bengal tiger.